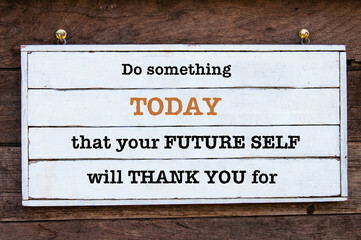 “You can learn anything you need to learn, to accomplish any goal you can set for yourself.” This principle offers a way for you to take com- plete control over your future. When I was young and struggling, failing and frustrated, this principle came along to change my life. Generally speaking, no one is smarter than you, and no one is better than you. Just because someone is doing better than you doesn’t mean that he is better than you. It usually means that he has just learned how to succeed in his particular field before you have. And whatever someone else has done, you can probably do as well. There are few limits. This is not an easy rule, but it is definitely simple.You, too, can learn anything you need to learn to accomplish any goal you can set for yourself. Once I learned this idea, I was unafraid to change jobs, and even industries. I learned how to sell advertising, investments, automo- biles, and office supplies. I worked in real estate sales and leasing,and then real estate development. Then I engaged in importation and distribution, then banking, printing, consulting, and eventually speaking, writing, recording, and corporate training. Every time I entered into a new field, I went out and learned every- thing I possibly could about that field, and then applied it as fast as I could. At first, I checked out the books from the local library.Then, I bought my own books and built my own library. I listened to every audiocassette I could buy on the subject, and attended every seminar. When I was 31, I studied and prepared myself, and then took the entrance exams to get into a major university. I invested several thousand hours of study to get a business degree. I learned the in- tricacies of micro- and macroeconomic theory, statistics, probability theory, management science, and accounting. I studied marketing, management, administration, and strategic planning. I became de- voted to the concept of learning. I thought I had come late to the party, that everyone knew that learning was the key to the future. I was amazed and perplexed to find, when I looked around me, that very few other people were do- ing what I was doing. Most people, by their own admission, were “living lives of quiet desperation,” in Thoreau’s words. They were working at jobs they didn’t like, earning salaries far below their po- tentials, staying in relationships they didn’t enjoy, and living lives that gave them no satisfaction. I tried to tell them that the way out was up. I told anyone who would listen that they could learn anything they needed to learn to achieve any goal they could set for themselves.There were no limits. But few people seemed to be listening. We live in an orderly universe. Everything happens for a reason. When I found that the people around me didn’t seem to be interested in changing their situations, I began looking for the reasons underlying their behaviors. And I found them. Psychologists and scholars have spent many years researching the psychology of success and the psychology of failure. And most of the studies conclude that there are two major mental blocks that hold people back. 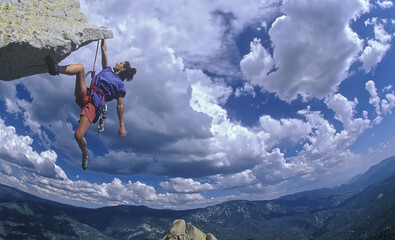 The first is what Dr. Martin Seligman of the University of Pennsylvania, in his book, Learned Optimism (Knopf, 1990), calls “learned helplessness.” According to his re- search, this attitude afflicts fully 80 percent of the population to some degree, and for many people it is their major obstacle to success and fulfillment. People feel that they can’t lose weight, can’t get a better job, can’t improve or change their relationships, can’t increase their in- comes, can’t upgrade their knowledge and skills, and can’t do many other things that they really want to do.They have tried unsuccess- fully so many times in the past that they have come to conclude au- tomatically that there is very little they can do to change the future. They become passive and accepting of their situations. Their lives consist of getting up in the morning, going to work, socializing a bit, coming home, eating dinner, watching television for four or five hours, and then going off to bed. The second mental condition that holds people back is called the “comfort zone.” Human beings are creatures of habit. They begin an activity of any kind and they soon become comfortable with it. They then become extremely reluctant to change what they are do- ing, or change the situation they are in, even if they are not particu- larly happy or satisfied with it.They become somewhat content and complacent. Eventually, they become afraid to change, for any rea- son. They get into a rut, and the longer they stay in their rut, the deeper it grows, until they finally give up all hope of ever changing or improving their lives. Learned helplessness, in combination with the comfort zone, cre- ates a person who feels trapped and helpless, weak and powerless, and unable to take control or to make any real difference in his life. The individual in this mental state then strives for security rather than opportunity, and often feels like a victim of circumstances over which he has no control. But the reality is that there are no real limits on what you can ac- complish with your life.Within reason, whatever someone else has done, you can do as well. The very fact that you can set a clear goal for yourself means that you probably have the ability to achieve it. Nature does not give you a burning desire for some- thing without also equipping you with the talents and abilities you need to acquire it. If you think back over your life, you will recall that almost everything that you ever really wanted long enough and hard enough you finally achieved.You are not helpless, and you are not stuck in a rut. Your true potential is limited only by your own imagination and determination. The two factors that contribute most to the feeling of helplessness and the comfort zone are fear and ignorance. Fear is and always has been your greatest enemy. Fear and self-doubt do more to hold you back from dreaming big dreams, and accomplishing great things, than any other factors. It seems that the less you know about a subject, the more fearful you are of trying something new or different in that area.Your igno- rance makes you reluctant to reach out for something better than what you are doing today. Fear and ignorance reinforce each other, growing until they induce in you a form of mental paralysis that leads inevitably to underachievement and failure. Here is a wonderful discovery. Aggressively learning about any subject builds your confidence and diminishes your fear in that area. As your knowledge or skill increases, you soon reach the point where you are ready to take action and make changes. But if you are completely ignorant in a particular area, if you have not read or learned anything about a subject, it will seem too difficult and may even appear overwhelming to you. Your lack of knowledge will make you afraid to take the actions necessary to improve your life in that area. The antidotes to fear and ignorance are desire and knowledge. The only real limitation on what you can accomplish is the level of in- tensity of your desire. If you really want something badly enough, there are almost no limits on what you can achieve. And the more you learn about any subject, the greater will be your desire to ac- complish something in that area. As your knowledge grows, you become more confident in taking the necessary steps to make your goals a reality. As you increase your levels of desire and knowledge, you decrease the self-limiting effects of fear and ignorance, and their compan- ions, learned helplessness and the comfort zone. My first big breakthrough in life came when I discovered that I could learn anything I needed to learn to achieve any goal I could set for myself. My second breakthrough was when I realized that I was completely responsible for myself and everything that hap- pened to me. No one was going to do anything for me. If I wanted something, it was completely up to me to do whatever was neces- sary to get it. If I had a problem or limitation, it was up to me to solve it or overcome it. I was on my own. The acceptance of personal responsibility for your life is the giant step from childhood to maturity. Prior to that decision, people criti- cize, complain, and blame others for their problems. After that deci- sion, they see themselves as the primary creative forces in their own lives. 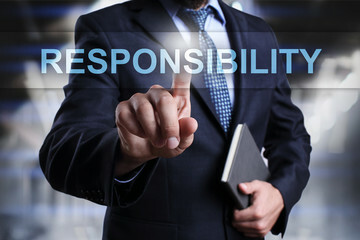 Before you take total responsibility for your life, you see your- self as a victim. Afterward, you see yourself as a victor. My third breakthrough came when I learned that all causation is mental. Everything you create in your material world begins with a thought of some kind. If you want to change something on the out- side, you have to begin by changing it first on the inside.You have to change your thinking if you want to change your life. This is the greatest discovery of all. with it, the greater the impact it has on your behavior and on every- thing that happens to you. If you absolutely believe that you are destined to be a great suc- cess, and you hold to this belief no matter what happens, then there is nothing in the world that can stop you from becoming that great success. If you absolutely believe that you are a good person with tremendous abilities and that you are going to do remarkable things with your life, that belief will express itself through all of your actions and will eventually become your reality. The biggest responsibility you have to yourself is to change your beliefs on the inside so that they are consistent with the realities you wish to en- joy on the outside. You can always tell what your beliefs really are by looking at what you do.You always express your true values in your actions. You always act on the outside consistent with who you really are, and what you really believe, on the inside. By using the Law of Reversibility, you can develop within your- self the values, beliefs, and qualities you most admire by acting as if you already had them, whenever they are called for by the circum- stances of your life.To develop courage, force yourself to act coura- geously, even when you are afraid. To develop integrity, speak and act with complete honesty, even if you feel like shading the truth or cutting corners. Soon your beliefs will mirror your acts, and your acts will mirror your beliefs. The Law of Expectations says that whatever you expect, with confidence, becomes your own self-fulfilling prophecy.You are continually telling your own fortune when you talk about how you think things are going to turn out in a particular area.Your expectations then determine your attitude, and your attitude causes people to behave toward you in a way that reflects what you are thinking inside. If you expect to be successful, you will eventually be successful. If you expect to be happy and popular, you will be happy and popu- lar. If you expect to be healthy and prosperous, admired and re- spected by the people around you, that is what will happen. You can tell your true expectations by listening to the words you use to describe an upcoming event. Always think and talk positively about the future. Start every morning by saying; “I believe something wonderful is going to happen to me today.” Then, throughout the day, expect the best. Be open and alert to the possibility that each thing that happens, positive or negative, contains something good. You will be amazed at the effect this approach to life has on your atti- tude, and on the way you are treated by the people around you. Successful, happy people continually maintain an attitude of posi- tive self-expectancy. They expect to be successful in advance, and they are seldom disappointed.They expect to make more sales than they lose.They expect to learn something valuable from every expe- rience. They expect to eventually achieve their goals, and they re- main open to the possibility that those goals may be achieved in a way that they didn’t expect. The very best way to predict the future is to create it, and you create your future by the way you approach everything that happens to you today, either positively or negatively. If you approach each situation confidently expecting to learn from it or gain from it, you will continue to grow and progress and move toward your goals.You will also be a happier, more optimistic person that other people will want to be around and to help. The Law of Attraction is considered by many people to be the most important law of all in explaining both success and failure.This law says that you are a “living magnet” and that you inevitably attract the people and circumstances into your life that harmonize with your dominant thoughts, especially those thoughts that you emo- tionalize strongly. By this law, or natural force, the more you think about some- thing you want, the more excited you will become about achieving it. The more excited or convinced you become, the more you will at- tract that goal into your life, like a magnet attracts iron filings.Your thoughts will create a force field of energy that will attract the peo- ple, circumstances, ideas, opportunities, and resources that you need to achieve your goals.When you change your thinking about yourself and your possibilities, you will attract into your life the forces neces- sary to turn those big thoughts and ideas into real-life experiences. This law says that your outer world corresponds to your inner world, that what you experience on the outside is a reflection of your inner world.Whatever you see when you look around you, you see some- thing in yourself. “Wherever you go, there you are.”Your outer world of wealth, work, relationships, and health will mirror back to you the pictures and images that are going on inside you. Nothing can permanently stay in your life unless it corresponds with something within you. To have happier relationships, you must become a more loving person, not in thought alone, but genuinely, in your heart. As you become a more loving person on the inside, your outer world of re- lationships will change, and sometimes immediately. To become more financially prosperous on the outside, you must become more prosperous on the inside. To be healthier and fitter in your body, you must think like a healthy and fit person in your mind. are going to think, and how you are going to think about it. This power, this control, is all you need to create a wonderful life for yourself.Your ability to steer your thoughts toward a destination of your own choosing is sufficient to enable you to overcome all obsta- cles, and make up for all limitations, on your road to success. The Laws of Belief, Expectations, Attraction, and Correspon- dence, used consciously and deliberately, are the keys to your ac- complishing wonderful things with your life. When you begin to change your thinking about your goals and possibilities, your beliefs and actions will change.You will find yourself doing more and more of the things you need to do to make your dreams come true. You will continually expect good things to happen to you, and you will seldom be disappointed.You will begin attracting all kinds of wonderful people and opportunities into your life. Your whole world will begin to correspond, on the outside, with the wonderful goals and pictures that you are creating on the inside. Successful and happy people have a generally positive mental attitude. Prosperous and wealthy people have a prosperous and wealthy mind-set. Kind, patient, gentle, loving people, who enjoy happy and fulfilling relationships with their families and friends, have kind, patient, loving ways of thinking. When you develop the same mind-set that other successful people have, you will soon en- joy the same results and experiences that they do. You may think that you lack the education, opportunities, or re- sources that other successful people seem to have. Don’t worry.The fact is that most people start off with few advantages. The story of most successful people is the story of people who started with noth- ing and did something worthwhile with their lives. I used to feel sorry for myself because I entered my twenties with no money and a limited education. Then I learned that most people start off with little or no money. If they do get a good educa- tion, most of it turns out to be largely useless in the real world once they get out of school. Then I felt sorry for myself because I had no natural talents to help me, and I couldn’t find a good job. I soon learned that most people start off in the same boat. Most people try and fail at a lot of things before they find the right situation for their talents and abilities. The fact is that everything you ever achieve you are going to have to do yourself. No one is going to do it for you. But if you keep learning and growing, trying lots of things, you will eventually get the breaks. Everyone does. Just remember that opportunities are like a fumble in a football game. If you don’t personally pick up the ball and run with it, it just lies there and has no effect on the score. When you get your chance, take action on it immediately. We are living in a wonderful world today, probably the best period in all of human history.You are surrounded by more opportunities and possibilities to achieve your dreams than have ever existed be- fore.There are no limits to what you can accomplish except for the limits that you put on yourself with your own thinking. The feeling of learned helplessness and the lure of the comfort zone are the two major mental obstacles to changing your thinking, dreaming big dreams, and setting big goals for yourself. The way to overcome fear and ignorance is with desire and knowledge.The two qualities that flow out of intense desire and in- creased knowledge are the courage and the confidence you need to do whatever is necessary to achieve anything you really want. You translate your dreams into concrete realities by turning them into goals.You decide exactly what you want, write it down, set a deadline, and determine the efforts you are going to have to make to achieve it. Make written plans of action to achieve your goal and then do something every day to move toward it. Resolve in advance that you will never, ever give up. When I stopped making excuses, I started making progress. When I stopped blaming other people and feeling sorry for myself, I began thinking about specific actions I could take to improve my situation. When I began to set goals and make plans for their ac- complishment, I felt in control of my life and my future.When I be- gan learning what I needed to know to achieve my goals, I felt more confident and competent in other parts of my life as well. And as I began achieving my goals, one by one, just as you will achieve yours, my thinking changed completely. Success is an inside job. It is a state of mind. It begins within you and is soon reflected in the world around you. When you change your thinking for the better, you become a better person. By dream- ing big dreams and envisioning an exciting future, you become a leader. By writing down your goals and making plans to accomplish them, you take full control of your life. And by practicing the ideas taught in this book, you can and will become unstoppable. 1. Resolve today to accept 100 percent responsibility for everything you are or will ever be. Instead of making excuses, decide to make progress. 2. Identify one area where you use the words “I can’t” when you think of the need to change or do something different. 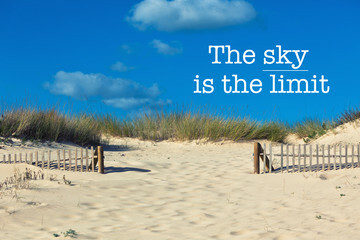 Now imagine that your limitations in that area are all in your mind. 3. In what parts of your life have you become comfortable, so much so that you resist change, even if it would be an improve- ment? What could you do to get out of this comfort zone? 4. Identify one area where fear and doubt are holding you back from doing something that you want to do. Imagine that you were absolutely guaranteed success in that area.What would you do differently? 5. What are your favorite excuses for not making the decisions or taking the actions you need to if you want to achieve all your goals? What if your excuses were not true? 6. Desire and knowledge are the antidotes to fear and doubt.What could you do immediately to increase your knowledge in an area where you want to take action? 7. Identify one key area of your life that you have created with your own thinking. How could you change your thinking in that area to be more successful? Success with happy. Powered by Blogger.